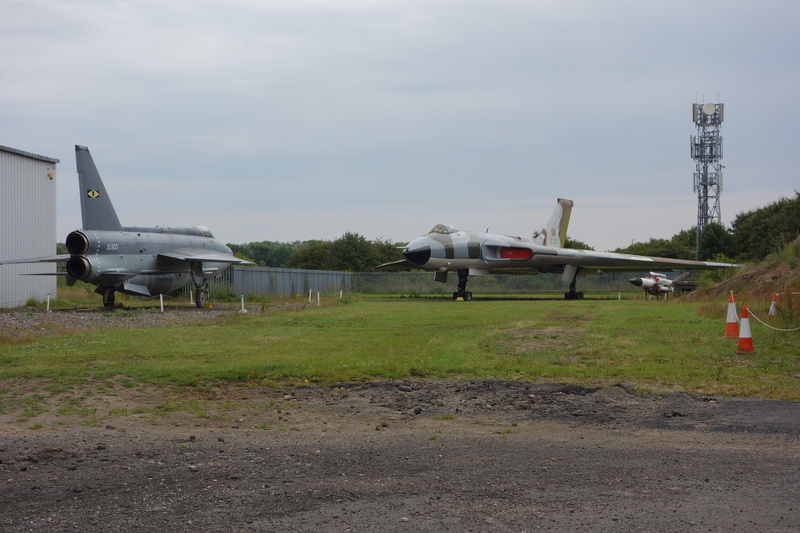 Over the past few days I visited the North East of England, and on Friday, I decided to visit the North East Land Air and Sea Museum (NELSAM). 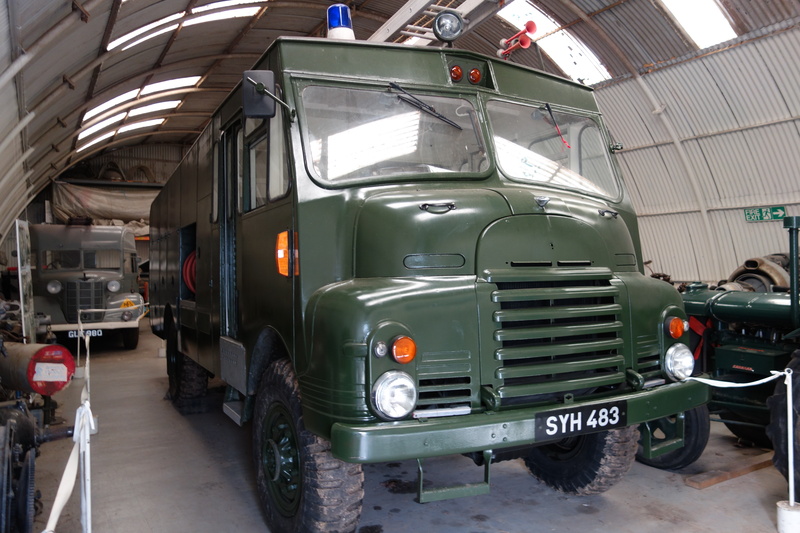 Apart from airplanes and war vehicles dating back to the Second World War, the trams are the latest collection of vehicles that have arrived. All apart from one are from Blackpool and are now undercover in the new tram shed apart from two double deckers from Blackpool, known as the Balloons. Below are some pictures from my visit. German 412 in the Museum car park, what a state! She needs full restoration work to get to presentable standard. The rust is all over the tram, but it can be possible. Two classic Blackpool Balloons, 708 and 721. They are both awaiting to go to the undercover storage, and are at different stages of restoration. 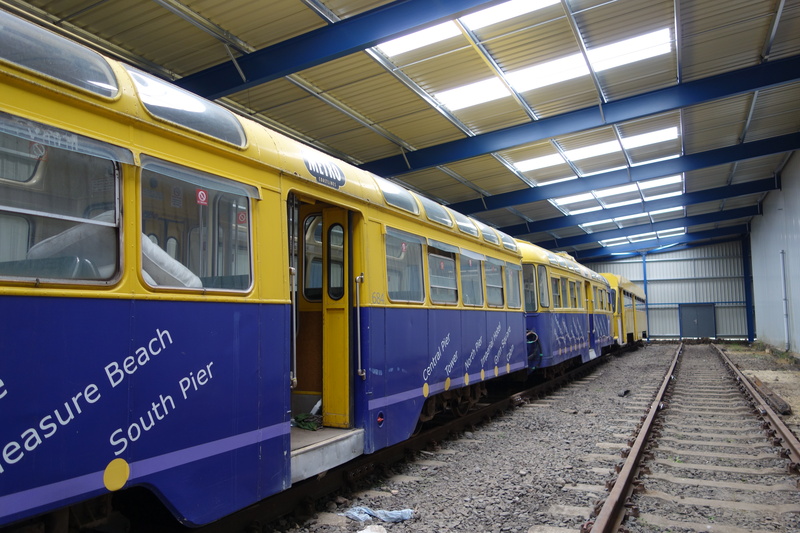 708, in green and cream will undergo some drying out and remedial work before traveling to Heaton Park Tramway, in Manchester, to join fellow Blackpool Balloon 702, among other trams. 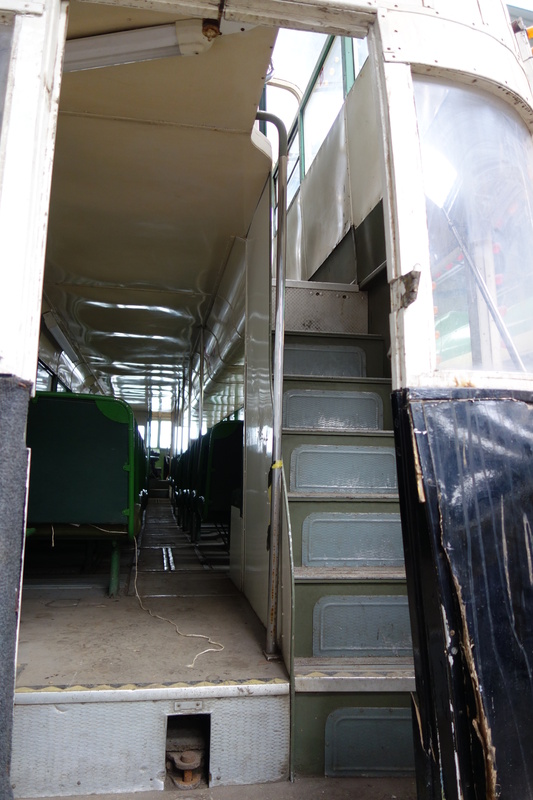 721 is currently undergoing the stripping back before a repaint into red and cream, which was used on 701 back in 1991. Evidently in the photo is the roof repairs, which hit a tree when traveling from Blackpool to Sunderland. 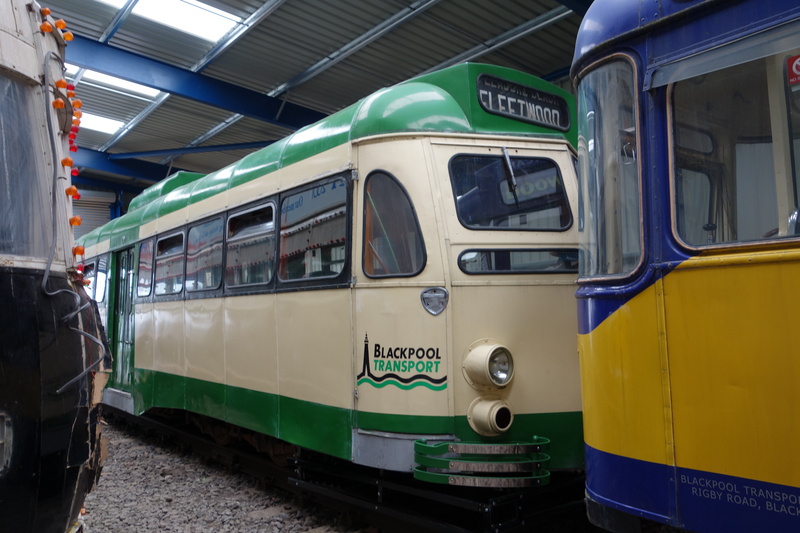 One of the stars of the museum is Blackpool Brush Car 634, which is privately owned by Andy Ashton. 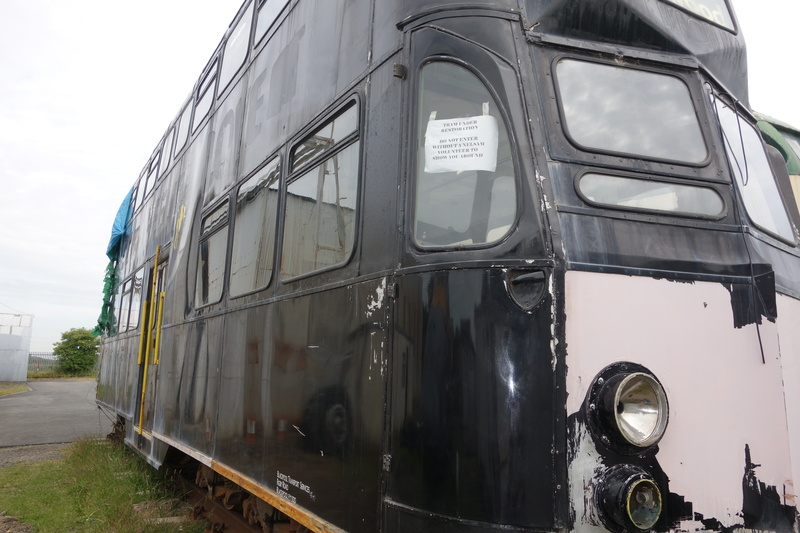 Since 2009, he has been restoring this tram, and doesn’t it look fantastic! 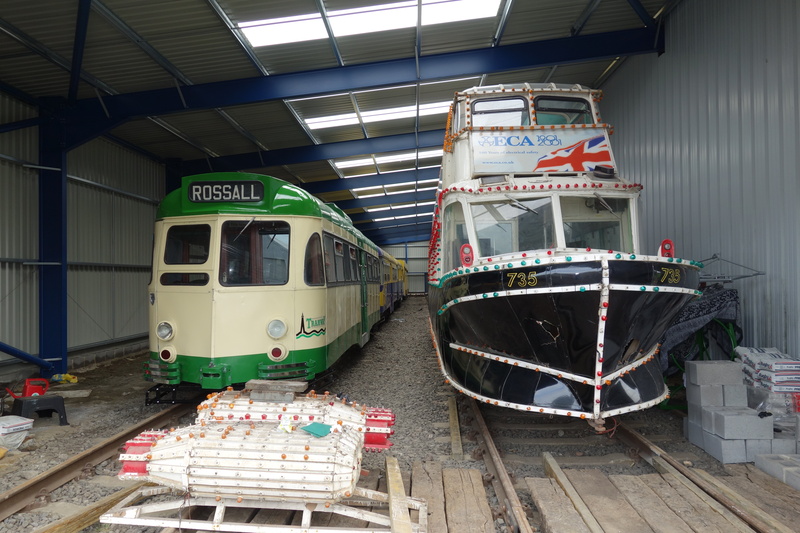 735 The Hovertram, the latest arrival to the museum can be seen next to Brush car 634, the true stars of the North East Electric Transport Trust (NEETT) and NELSAM. Blackpool twin set 674 – 684, in Metro yellow and blue, and Centenary 647, in a yellow livery after it’s advert was removed. 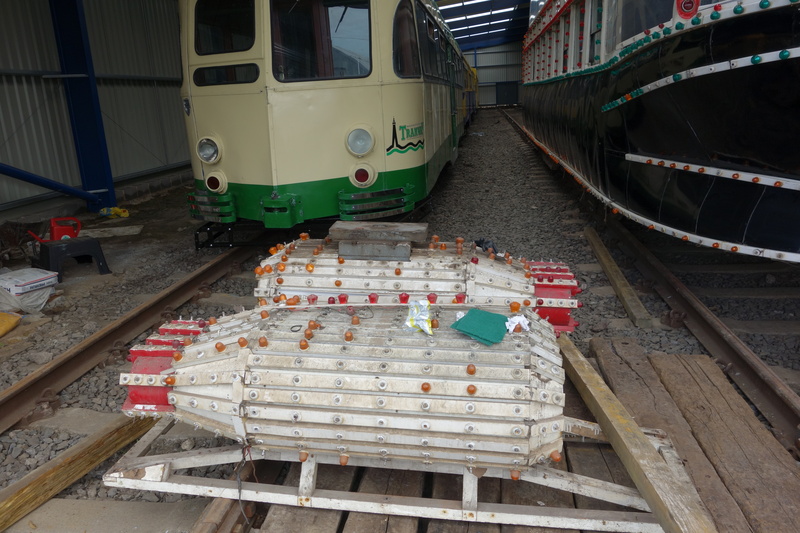 The tail fins off the Hovertram, which were removed for travelling to Sunderland. 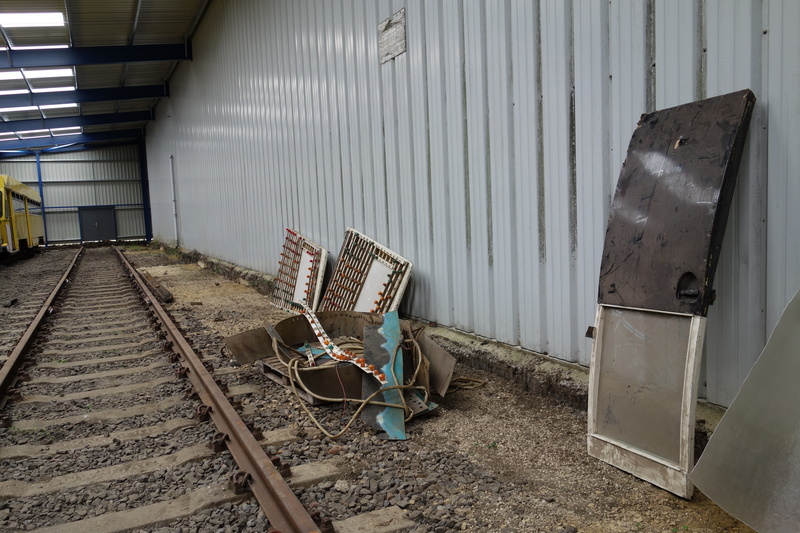 Also, one of the perspex windows which was snapped off the weekend before. 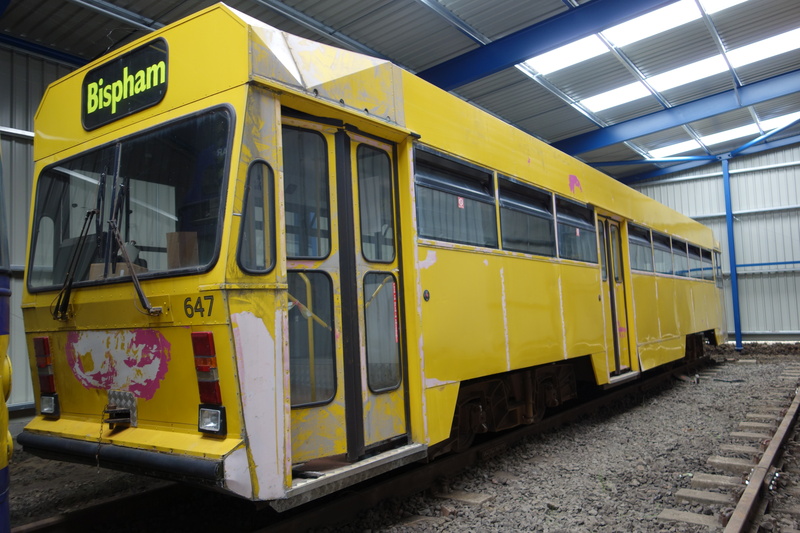 Centenary 647, the last tramto be built in Britain worked in Blackpool all its life since 1985. She was moved to Sunderland in 2012. Another look at the twin set, showing the roof windows. 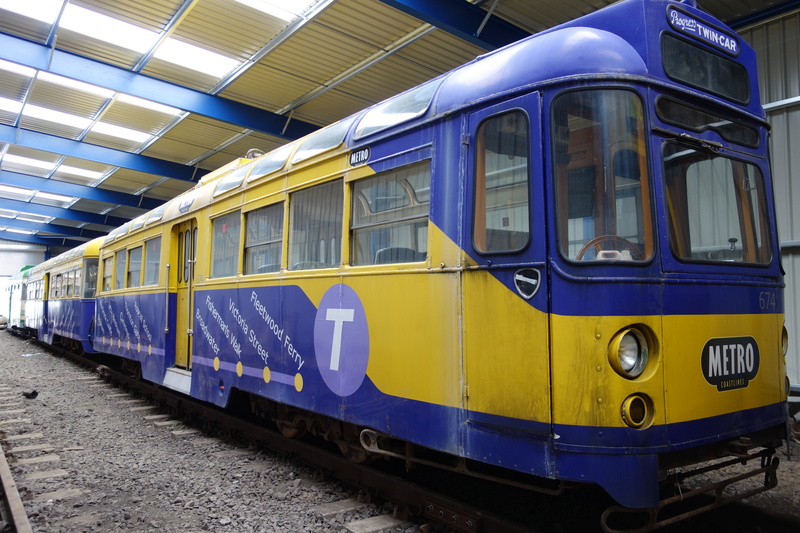 The tram will be repainted in the future. 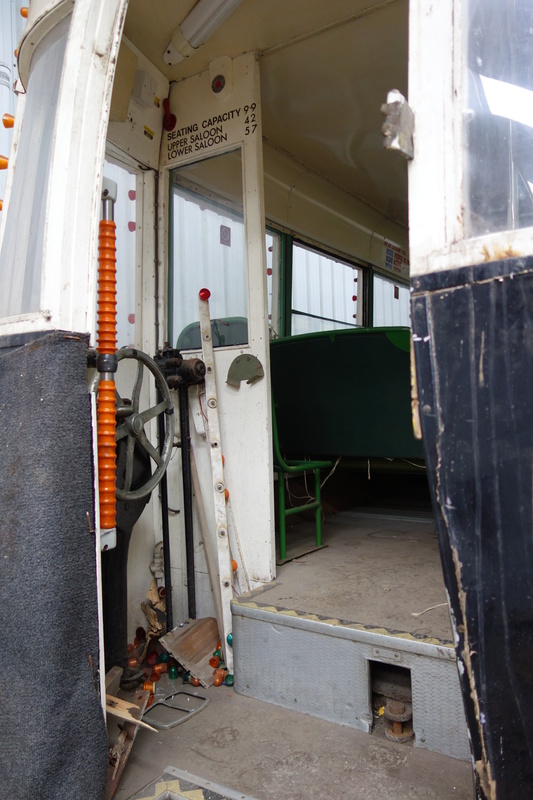 The back of the Hovertram, showing the door, which passengers had to go onto the tram tracks to board the tram. The stairway to the right, along with the sunken gangway. 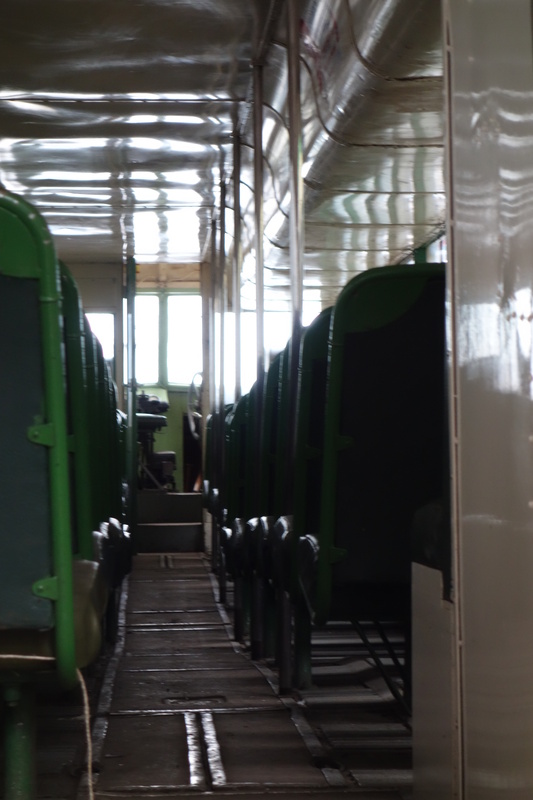 The seating and the cab of the Hovertram. Showing the seating numbers of the Hovertram, the highest of the illuminated fleet. Another look at 634 and the twinset, showing the difference between the pointed ends and flat fronts. 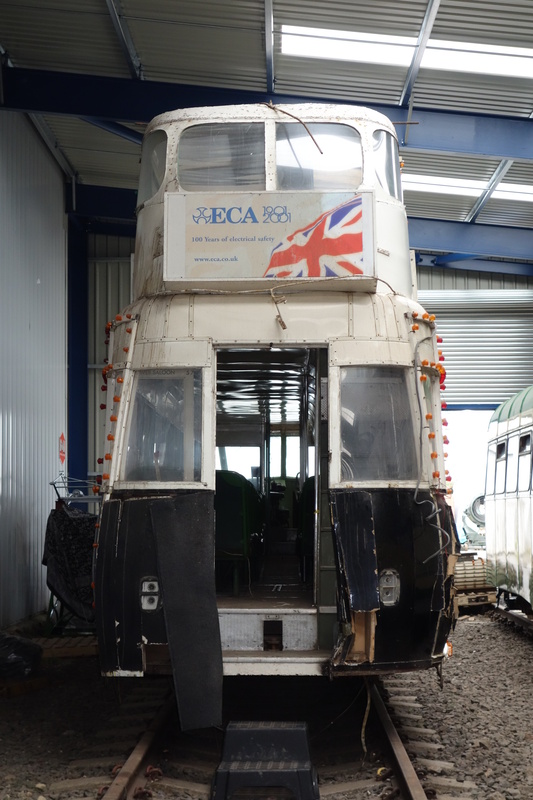 The two faux engine pods, which are normally on the roof of the Hovertram were removed for transporting. Also, note the Quavers packet! Another look down the tram, showing the length and streamlines looks. Some of the damage ends of the bow, which since this photo was taken, have been repaired. 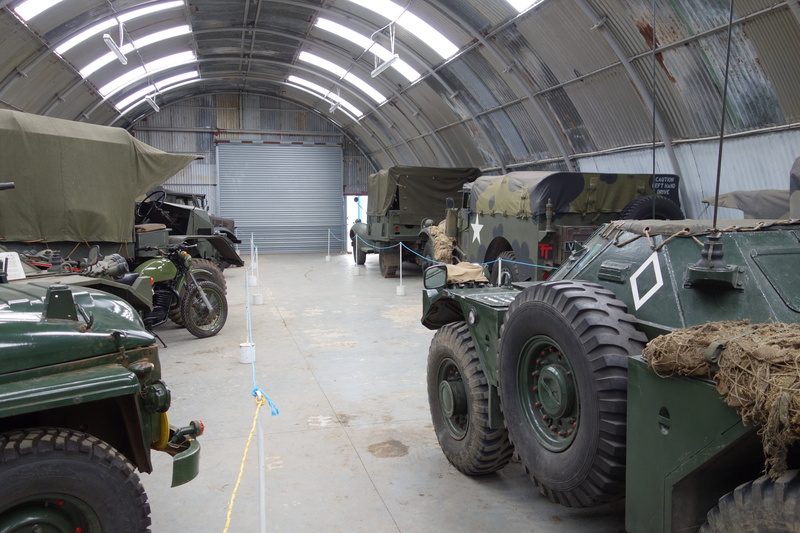 Some of the vehicles in one of the hangers, from Britain and America from World War Two. 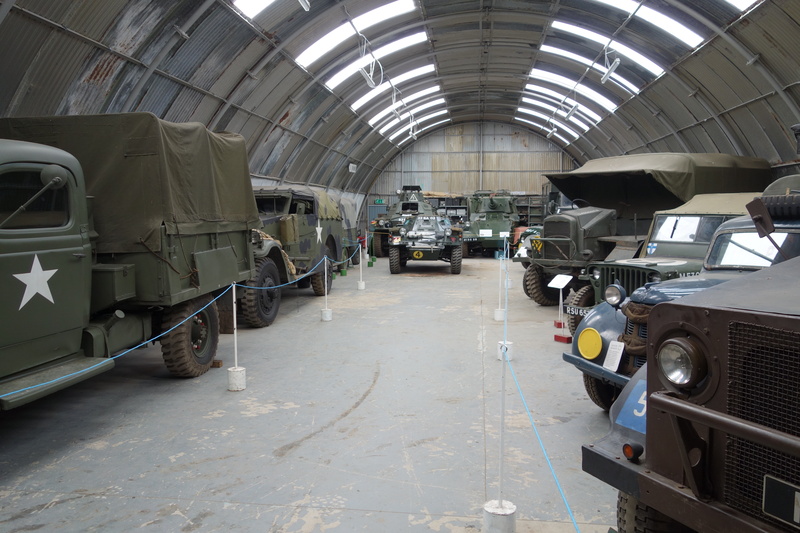 Another look, showing the variety of collection of vehicles. An American tank is in the middle of the hanger, and is beautifully restored. 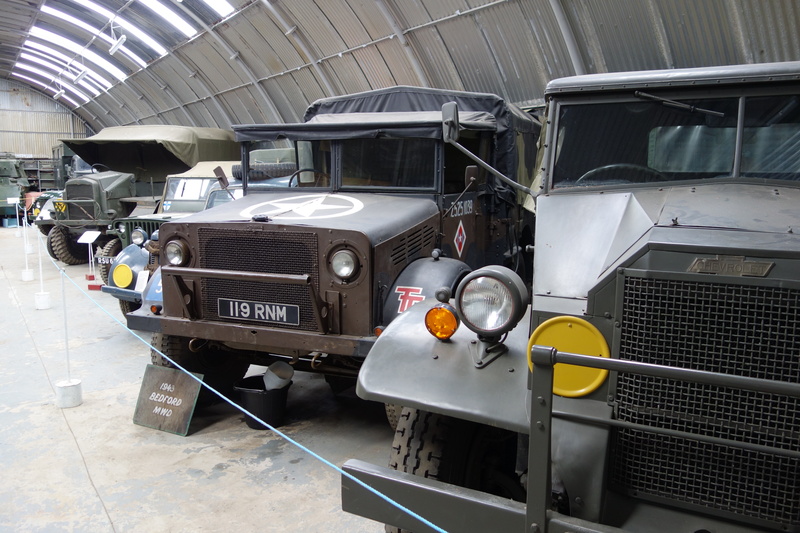 Another look at the vehicles. The Bluebird fire-engine, quite a sight when entering one of the hangers! Two of the planes at the main entrance, what a sight when entering! 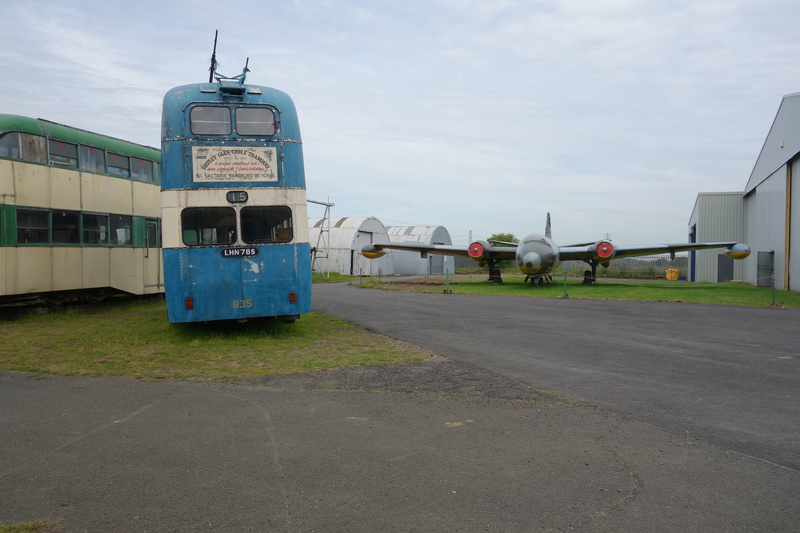 One final shot,showing a trolleybus and another plane, and also showing the all of the hangers of the museum. 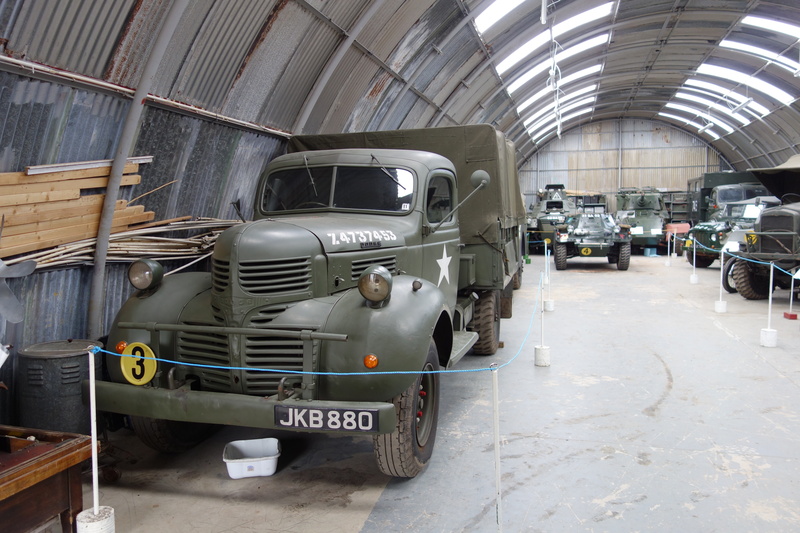 The plans for the museum are extensive including sea vehicles and a tram line around museum. 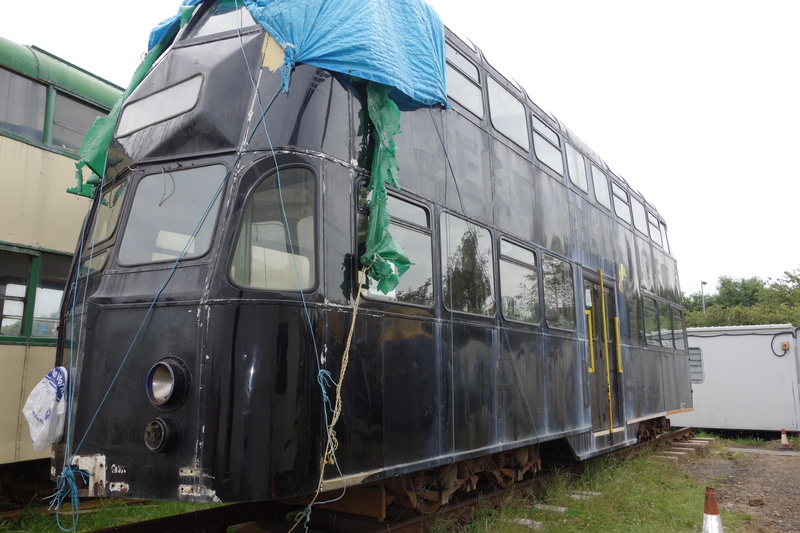 Hopefully, the will be able to come to fruition, but I wish them well and are amazed at the progress made so far, with reclaiming the long forgotten Hovertram back to England are spending over 8 years in Scotland.